Rehoboth Beach – The Delaware Center for the Inland Bays’ “Don’t Chuck Your Shucks” shellfish recycling program is gearing up for another tasty season. Fresh off the success of 2017, where the program collected 4000 bushels of shell from 25 restaurants, the Center aims to bring even more local restaurants on board! 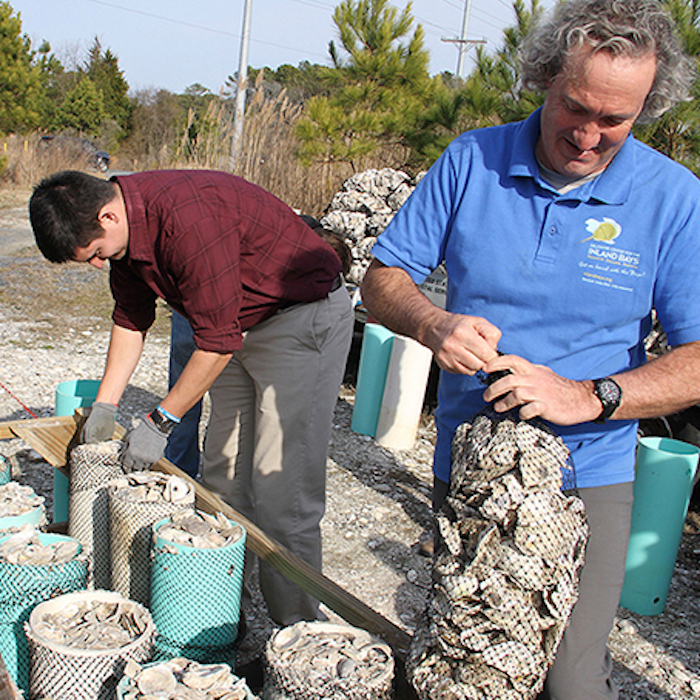 A partnership between the Delaware Center for the Inland Bays and local restaurants, this program collects discarded oyster shell for use in oyster restoration projects in the Inland Bays! The Delaware Center for the Inland Bays is in the process implementing a Shellfish Enhancement plan for the Rehoboth, Indian River, and Little Assawoman Bays. This plan will implement projects that make use of the DCYS program’s recycled shell material. These projects include Living Shorelines, Oyster Gardens, and projects that mimic oyster reefs to provide habitat for many species, including finfish.